Designed with through-hikers in mind, our Elite Cagoule is intended to minimize weight and maximize coverage. 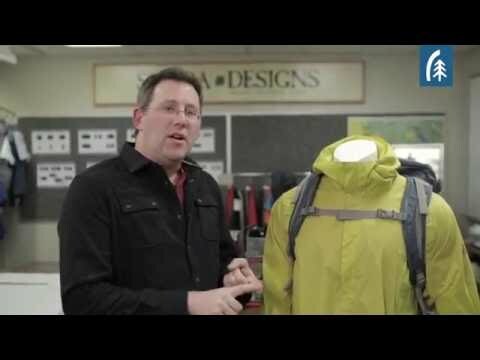 Built with our unique venting story, the Cagoule represents everything Sierra Designs believes about rainwear: lots of coverage, very little weight, and lots of airflow. I have to return and exchange for a large because this garment is way undersized. I do not understand because I got the chaps in medium and they are quite roomy but the cagoule in medium is ridiculous, it fits more like a straight jacket than a rain garment designed to be worn with layers and a pack. Anyway, that said, the design of the cagoule is superb. So, this is plenty long too work with the chaps exactly as Sierra Designs intended. There is a mesh tunnel pocket on the front. No zippers, it's all snaps. I would have loved to try it today in the rain but the size is so ridiculous it's insulting. SD, please. Spruce up your sizing, this is absurd. Im leaving town next week I really don't have the time to play the return and exchange game.